If you've visited my blog often, then you know I'm not too accustomed to doing page layouts. ago and couldn't wait to scrap some of them! 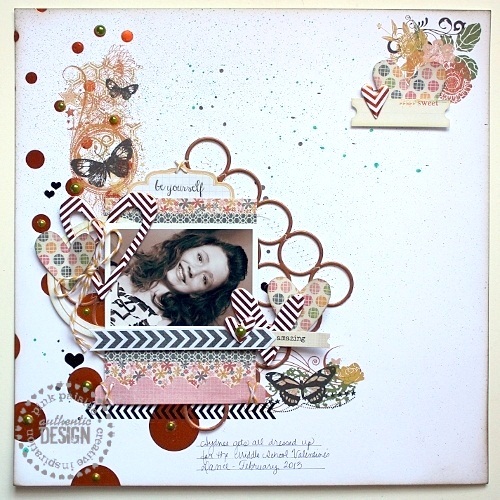 To begin, I used a couple of the beautiful Cottage Farms Press-Ons to create a fun back-drop for my photo. The Press-Ons go on with ease…I love them! Next, I trimmed down a small square of the Luxe Placemat Circles and added it to my page at an angle before machine stitching into place. at all too bulky, yet hold their shape even after the needle has passed over it. with a walnut ink and then spritzed with both Color Shine Bronze and Mint Green. 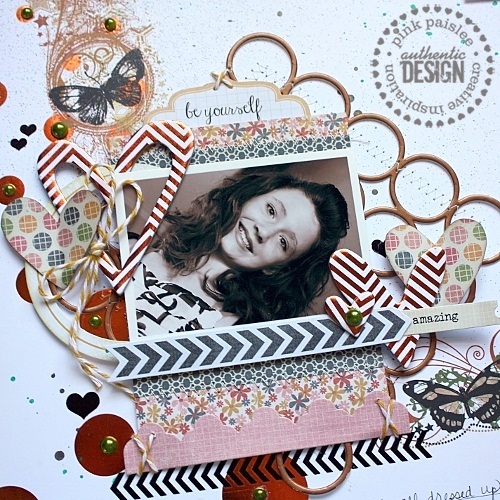 were layered along with hand-cut hearts and Luxe’s Chipboard Hearts. I added a few olive green pearls to the centers of various circles and tucked in some of the black hearts from the Luxe Confetti Rubons: Copper & Black. All of the colors from this month’s Color Crush board were represented in the small details, along with some unexpected additions like bronze and black. 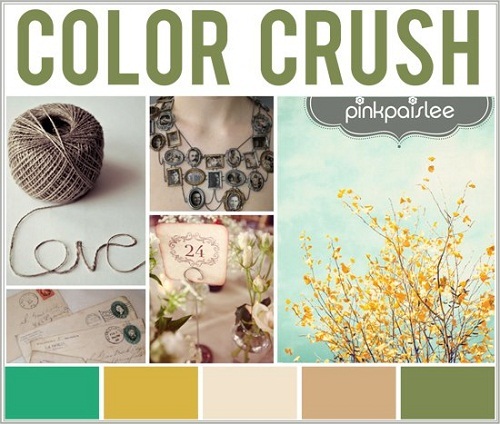 Hope that you are inspired by this week’s Color Crush and will give it a try to! Both the Cottage Farms and Hope Chest Collections carry these colors in their palette. This has such amazing layers!!! GORGEOUS! 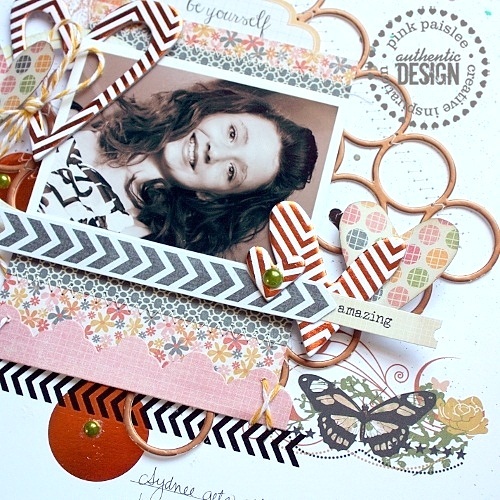 Stunning layout and I just adore your layering!